Fall Fondo season, as we like to call it, kicks off in September and we are fortunate to have so many options of organized rides. With the beautiful weather, breathtaking scenery and fantastic roads, this is the best time of the year to ride! From mid-September through the end of October, there is an organized ride just about every weekend. Below is a list of a some of our favorites!! All of these rides offer something for cyclists of all abilities from short “family” rides to longer challenging Metric & full English centuries. And since many of these events have been around for ten years or longer you can be sure they are fun and filled with great groups of cyclists. Now in its 21st year, the Rough Ride is a favorite of both local and non-local cyclists. With five different routes offered you can bet there’s a ride to suit just about every cyclist or interest. What’s so cool about the Rough Ride is the “Rough” options offered. For the gravel inclined this ride offers two (2o miler & 30 miler) mixed surface route options. And for those looking for something a bit “smoother” they offer three fully paved routes (12, 33 and 60 miles). The ride starts in lovely and scenic Washington, VA and features a full lunch afterward for all registered riders. For more information, full event details and to register checkout our the event website. The beautiful countryside of Stafford and Fauquier counties near historic Fredericksburg provides the ideal site for a day of cycling. 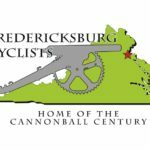 Secluded woodland roads, ranches, and farms form the backdrop for Fredericksburg Cycling Club’s 18th Annual Cannonball Century. This is in the midst of historic locations of the civil war era, recognizing a pivotal time in our Nation’s history. The Cannonball Century is one of the few rides serviced by a cycling club. So you can count on great rest stops and full post-ride lunch. The ride offers clear cue sheets and road markings and excellent support throughout the ride with communications by the Rappahannock Area Amateur Radio Club. For more information about the Cannonball Century check out their website. The Most Challenging Gran Fondo in the States! Jeremiah Bishop nicknamed his favorite training route after the glorious mountain top meadows, winding climbs and hillside farms reminiscent of the Austrian, German and Swiss settings where he has competed. This magnificent scenery is the backdrop for the most challenging and adventurous Gran Fondo in the United States. The namesake route begins in Harrisonburg, Virginia and covers 107 miles featuring 11,500 feet of climbing. In addition to the 108-Mile Alpine Loop, there are options that encourage and challenge cyclists of all abilities to join in the Gran Fondo. At 103, 78, 62, and 36 miles, these courses showcase the idyllic scenery that make Harrisonburg and Rockingham County famed riding destinations. For more information, visit www.AlpineLoopGranFondo.com. Now in it’s Tenth Year, our Culpeper’s very own Culpeper Century (organized by Culpeper County Parks & Recreation) is back in 2017 with an all-new route designed by VeloConcepts. This new route stays the same for the first 50 miles which allow participants to stay together longer! 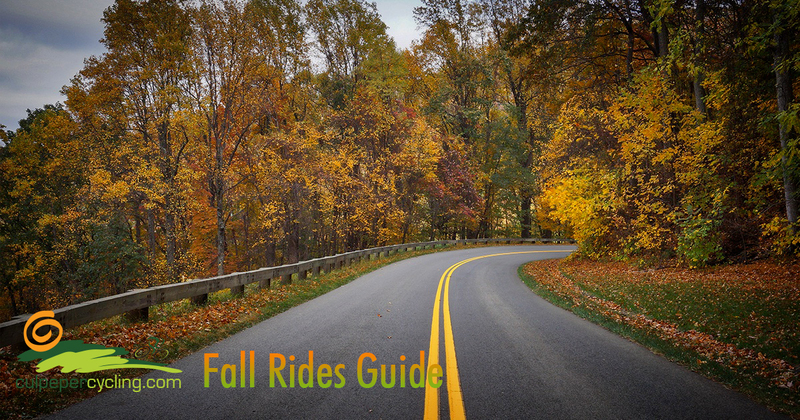 The CCC is a small intimate ride – with a maximum of 500 participants – that boasts great scenic beauty and paved road riding in Culpeper County during the most colorful season – Fall! The routes take cyclist through Culpeper, Rappahannock, and Fauquier Counties, providing beautiful views of scenic back roads and rolling farms. You may even catch sight of a few buffalo on your travels. Cyclists will enjoy rest stops approximately every 20 miles with friendly and knowledgeable volunteers, a selection of snacks and water/Gatorade. The 60/100 mile cyclist have the option of a box lunch at the finish line. For more information and registration information be sure to check out the Culpeper Century website. The ever popular, pumpkin-themed Pumpkin Ride takes place each year at the Fourth Street Trailhead in Warrenton, VA. This year’s event is scheduled for Saturday, October 28th. So, come out and enjoy one of the prettiest days of the fall foliage season in Virginia! The ride is sponsored by the Fauquier Trails Coalition, a non-profit organization, and is a fundraiser to extend and connect existing trails in scenic Fauquier County. The Great Pumpkin Ride has an option for everyone — 32, 53 or 67 miles. Their rest stops are fully stocked and include popular Great Pumpkin Ride treats such as pumpkin soup, pumpkin pie, pumpkin seeds and pumpkin cake — as well as traditional rest stop items. Roving mechanical support and SAG wagons will be provided from 9:00 am until 4:00 pm. This ride is limited to 1,250 participants so be sure to register early as this ride does fill up before the event day. For more information and registration information check out their website. I was surprised to see almost all of your riders cycling 3 and 4 abreast on back roads, as well as stopping as large groups in the middle of travel lanes. Also riders riding side by side having conversations and not allowing motorists to pass. Perhaps a group who takes tours on public roadways should learn the laws and a little common sense so they aren’t putting everyone in so much danger. They are giving law abiding cyclists a bad name. Im not sure what you mean by “your” riders. Culpeper Cycling is a website for dissemination of information about cycling in Culpeper. However all of the rides we take place in we encourage our cyclists to follow the rules of the road. However, keep in mind that VA Law (46.2-905) allows for riding two abreast and sometime the way the way we are organized it may look like they are riding 3 abreast (which they are not). The law explicitly states “Persons riding two abreast shall not impede the normal and reasonable movement of traffic, shall move into a single file formation as quickly as is practicable when being overtaken from the rear by a faster moving vehicle”. So keep in mind that you need to allow cyclists to form single file, many times cars just pass without giving cyclists sufficient time.